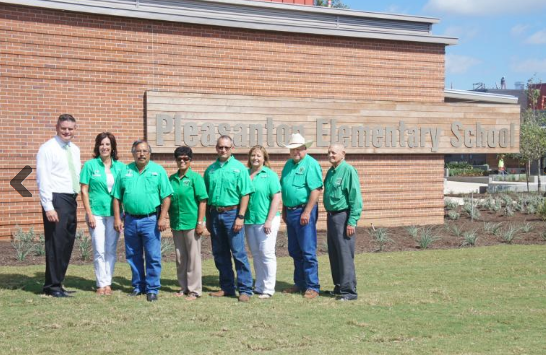 When Pleasanton ISD students begin the new school year on Aug. 28, it will mark the culmination of much planning, cooperation and dedication. 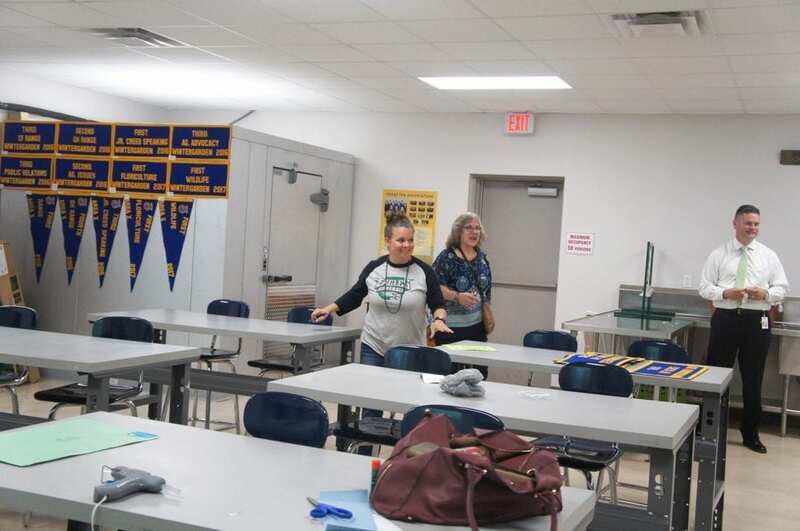 Students at all grade levels, particularly those at the elementary, will see firsthand the results of the $63 million bond package voters approved in 2015. 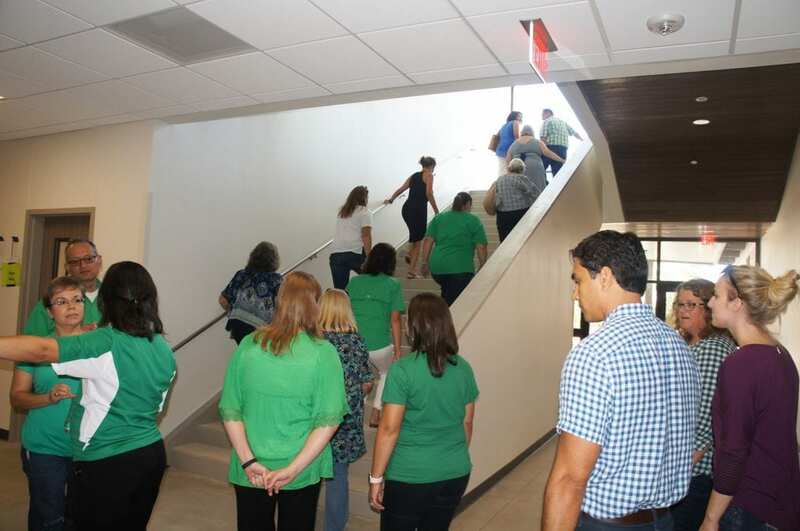 On Aug. 18, Pleasanton ISD Trustees, school administration, members of the Long-Range Planning Committee, LPA (the district’s architect) and Joeris Construction toured the campuses. The bond, Mann believes, has promoted lots of development. 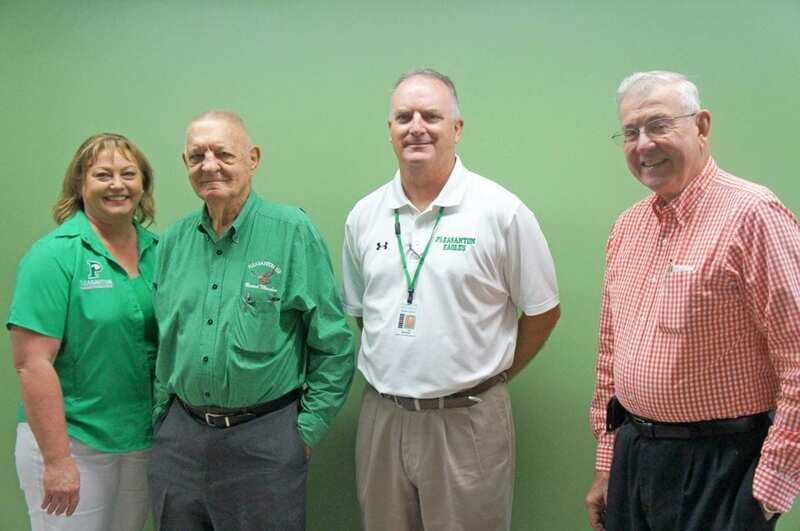 Poteet ISD and Jourdanton ISD passed bonds as well. “It has been a real call. It really is impressive to me to see that rededication. We passed the largest bond in Atascosa County history. We’ve touched almost every classroom. We’ve touched every campus and all the students in Pleasanton ISD will be affected by this,” said Mann. 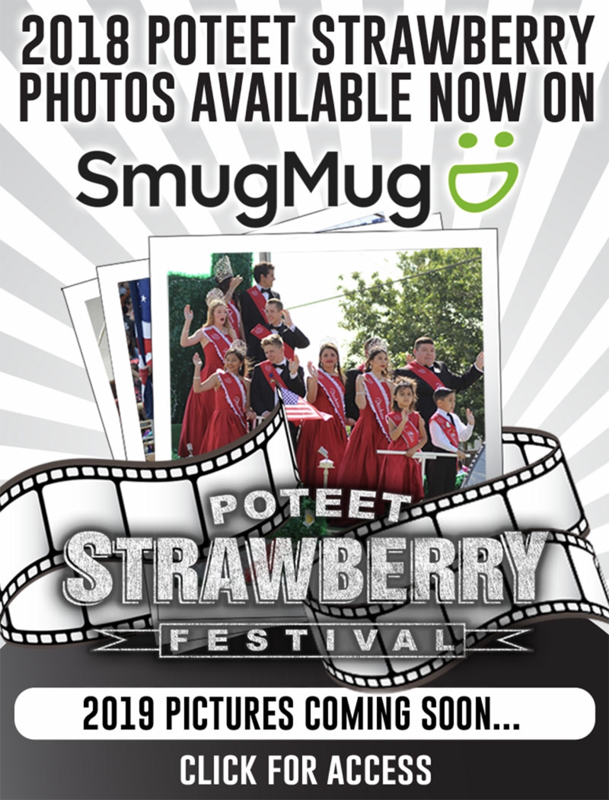 He hopes that the community will think they did a good job of managing the funds and getting the most out of it, as well as delivering on the promises made in the informational packet that was sent out. 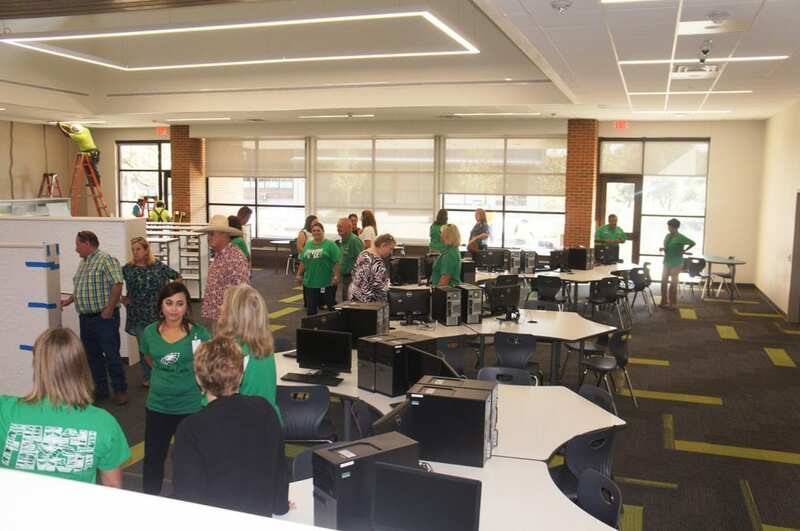 The brand new, 140,000 square foot Pleasanton Elementary School is located on Grant Street. It houses second-fifth grade. Mann said they kept in mind that 7-year-olds will be among those attending the campus, so they wanted it to be warm and inviting. They planned for a two-story building to have enough space, as the elementary student capacity is 1,200. Mann shared that there are 310 third graders. “We really wanted a tiered-approach, so we wanted a warm entrance and I thought the wood, mixed with the glass, made it very open and it tiers up to the second story, so it really opens up behind it,” said Mann. They incorporated trees and have it as a theme throughout. Wavy parts are supposed to imitate trees in the forest, explained Mann, so they wanted to pull that through the design. Eagle pride and words of encouragement are also featured throughout. Feathers and art pieces on the wall indicate the grade level of the wing. Planets in the solar system are featured on the floor. The furniture is new, fun, light and airy, rather than bulky. The art classrooms were also treated as a first thought, said Mann, instead of an afterthought. Attention was also given to the stage and music rooms. “The fences are a very small wire, so the farther back you go, they disappear and blend in. That is something to make it look less institutional. 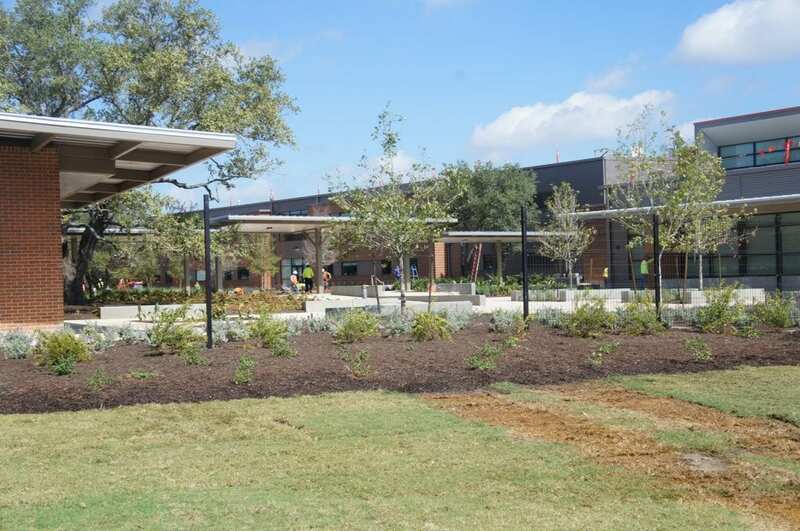 We wanted to keep away from that and really make it look like a park-like environment,” Mann said. The materials mix- brick, wood, metal, etc. and combine with lots of natural lighting. The building is positioned so that it is not square to the road. “That is due to how the sun comes over so that you do not get the solar radiation into the classrooms. The windows are facing north to south instead of east to west so you are not picking up that sun, but you still get that natural light. You reduce some of your energy costs because of that, said Dr. Mann. The building sits open in the middle and then it comes to a V, to pick up the prevailing winds. It will come through the middle of the courtyard and then escape, so you get an actual breeze that blows through there that cools. Mann shared it has been an interesting journey from the beginning. “It was hard… because now everyone sees vision and they see things very isolated and siloed. So having faith and trust in a design and then allowing it to come to fruition was difficult for people. It was hard for some, but I think once we established that trust and we were able to open some spaces and once they saw that those things were innovative, you could then get a good feel,” Dr. Mann said. He believes the elementary school is that culminating centerpiece. He praised LPA, architect Lowell Tacker and Joeris Construction for their fantastic jobs on the renovations and for transforming buildings and breathing new life into places he did not think were possible. 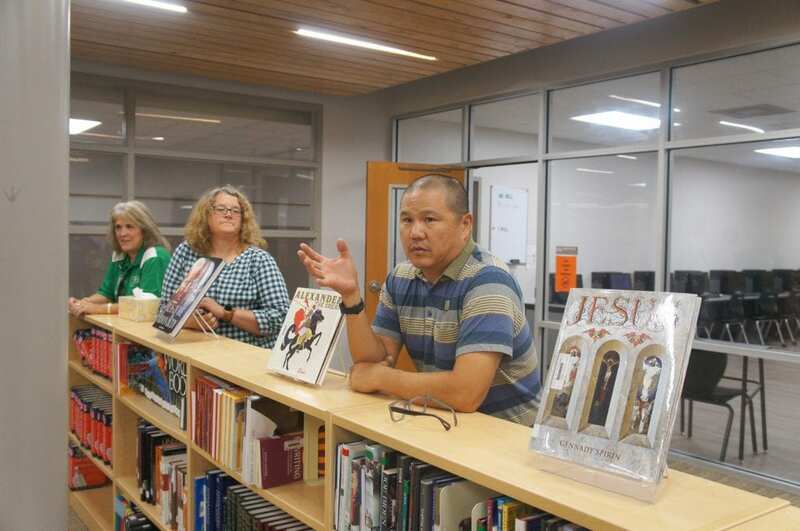 “I think the elementary school is really a step into a future, what a school will look like for the next 20 years,” said Mann. The first floor houses administration, nursing office, office spaces, spacious library, GT room and STEM lab, computer lab, and about 14 classrooms per wing, as well as two gyms, two science labs, music room and drama room. The enormous cafeteria can serve a grade level at a time, which is 250-300 kids per lunch period. Fourth and fifth grade are on the top floor. It also houses science labs and students can overlook into the gym. Mann has a Superintendent’s Cabinet made up of students third grade to seniors who meet four times a year. 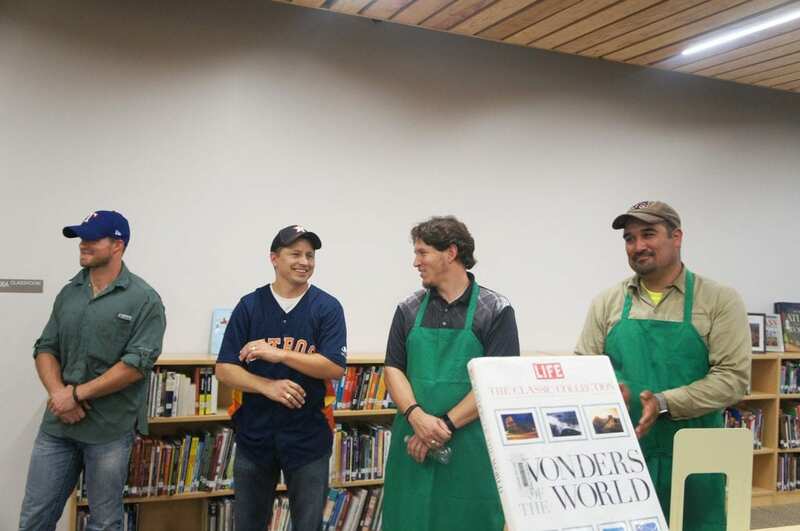 They were also involved and had the opportunity to wear hard hats and take a field trip to San Antonio. They were given dots to vote on what playground equipment they liked and chose one with a modern feel to it. “We really did try to integrate the traffic design into it and really try to keep some essential traffic rules you ought to follow, or rules of thumb. One of which is to never enter and exit out of the same spot, so you have different entrances and exits, which we don’t have a lot of here. So we have had some issues with that,” said Mann. Mann said they want to stack the traffic on their property and not on the city streets like Grant, Jolly, or Bluebonnet, etc. One improvement Mann sees is the school will be able to stack every single bus that they own that is on a route and be able to stack them inside that bus loop. “So they will pick up, they will trace through and then they will hit the junior high. They will go up to the Primary and then out to the high school. I think the buses are going to be out much faster and they will have never gone across Bryant. It will all be internalized,” Dr. Mann said. Mann added the city was more than happy to work with them and they like the idea of having additional parking for them, in case they have a tournament, etc. and for spillover. 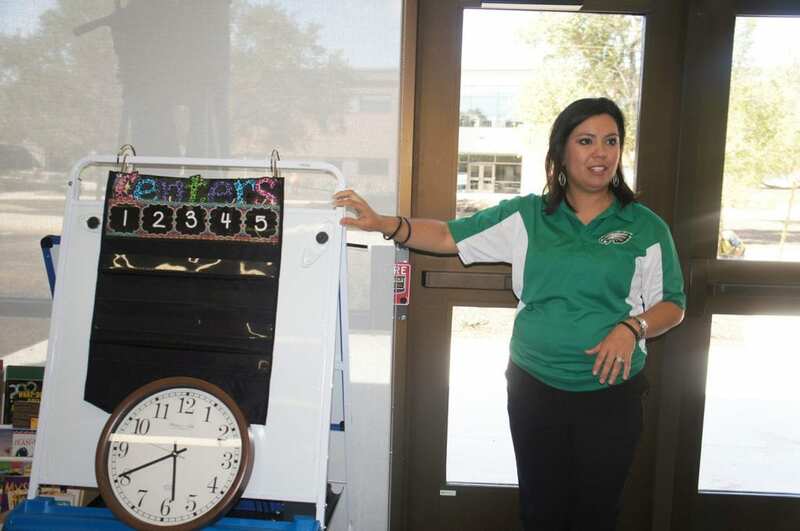 When discussing the junior high campus, Dr. Mann praised Jennifer Garcia. 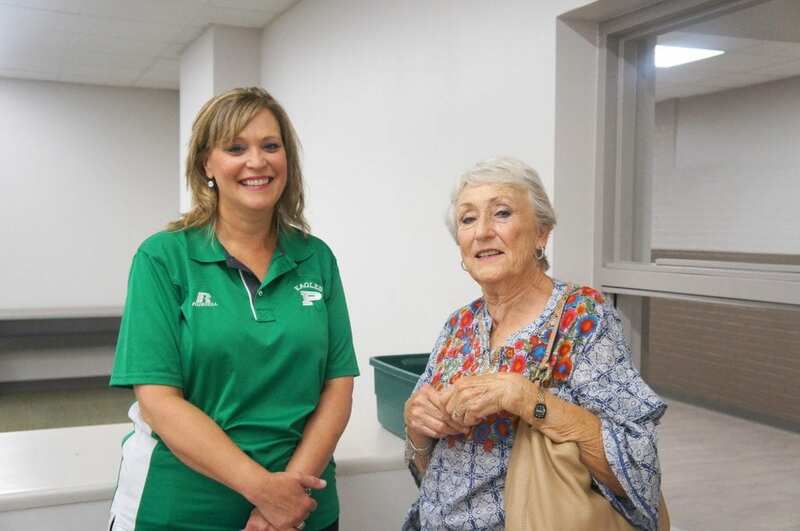 She brought together a steering committee made up of teachers from both campuses and blended intermediate and junior high together. They focused on turning away from “the old PIC” and having a new school. They wanted a flip in dynamics. Also important was how to bridge the two separate campuses together. One way was to maintain just one office. This creates an eighth grade academy style. The old fifth grade hall will be used for multiple things such as storage for the Educational Foundation. 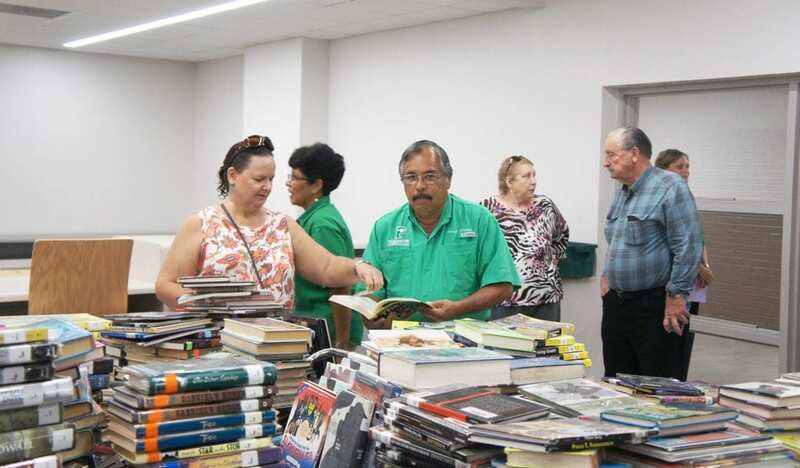 They will also be converting the old intermediate library into a staff development training center and other offices. 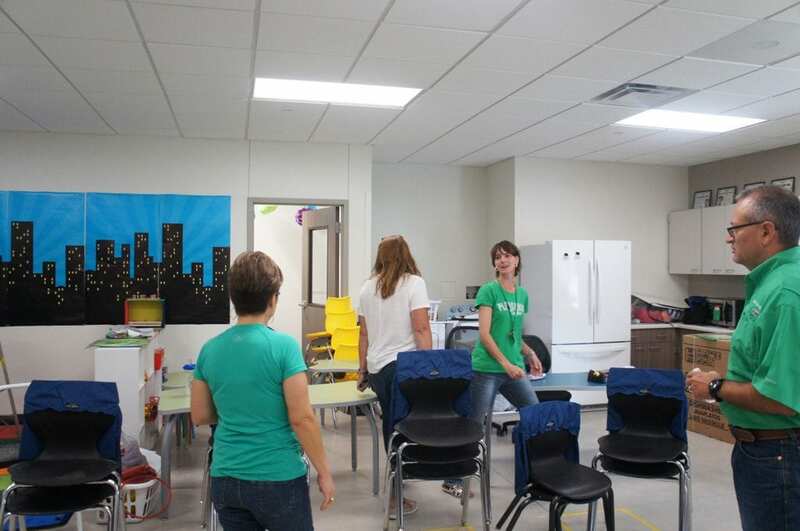 Renovations at the high school were about creating equitable classroom spaces that were clean spaces with technology. 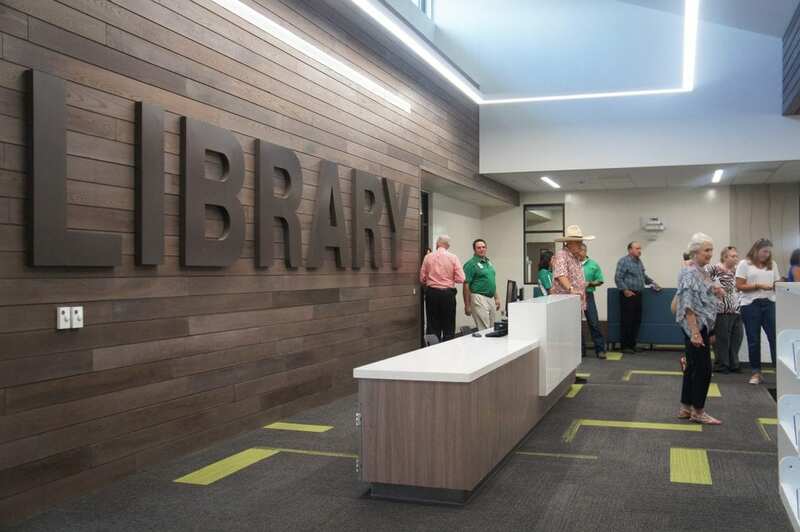 The library has a collegiate feel to it and has been brightened up and modernized. They concentrated on the career and technology spaces, through their business side, the culinary arts, the ag facilities and the shop areas. “They were really heavily invested to get those up to speed and look nice. I am very proud of that work, too. It meets some of the needs that the state has asked us to do for graduation,” Mann said. Plenty of glass and transparency keep the secured high school entrance from seeming too institutional. Dr. Mann was also pleased that they were able to come under budget. Dr. Mann also thanked the Long-Range Planning Committee for the time, heart and soul they put into the project; campus administrators and the school board for seeing this through. Architect Lowell Tacker also spoke highly of the committee for their strategy and getting out the vote. The committee had the hope of the community on their shoulders. LPA partnering with Joeris, with a transparent process, the best price, the best personnel made everything come together, Tacker said.